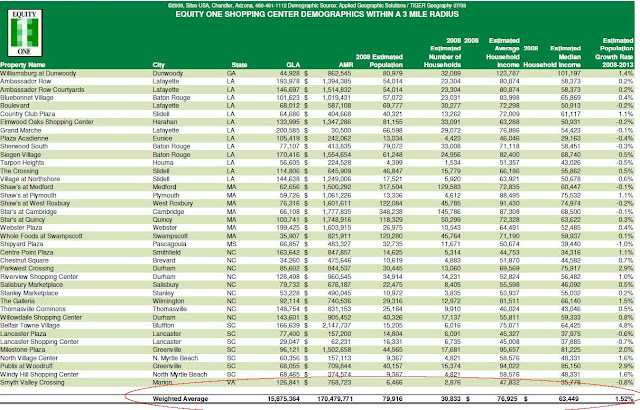 Retail REIT Equity One (EQY) reported q4 2009 results a few minutes ago. Funds From Operations of 28cents were 2cents higher than expected. 2010 guidance for FFO of 1.02-1.10 is a bit below the average estimate of 1.10. The company announced they will pay a 22cent dividend on March 31st, for an annualized rate of 88cents or a 4.75% dividend yield. 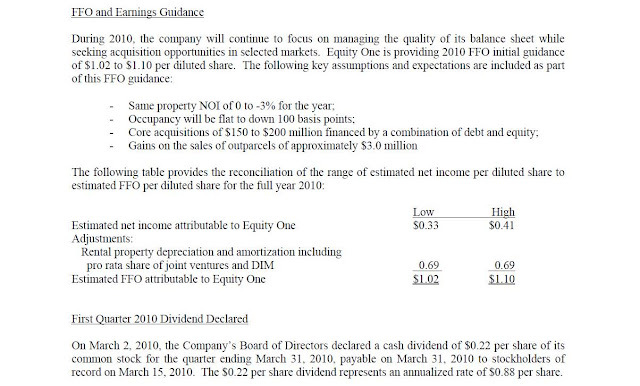 That's a pretty good yield even without the possibility of the dividend being upped to 2009's 30cent per quarter level.